Silicon Valley’s venture capitalists may be pouring billions into electric-scooter startups, but companies like Bird, Lime, and Spin are already facing backlash from residents. The plot of “The Birds” revolves around a huge number of birds going berserk and attacking a town and its residents. The electric-scooter startup model involves dropping hundreds of dockless scooters into a city and then hoping people will use them. Despite the startups’ racking up huge valuations, that approach hasn’t always been successful – or to residents’ taste. Bird pulled out of Louisville, Kentucky, a day after launching because it put scooters into the city without first asking officials. 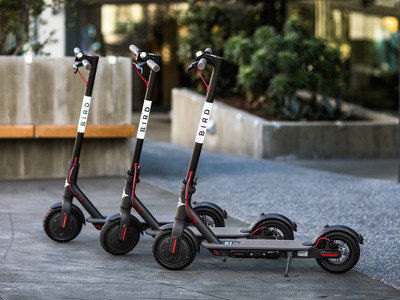 Similarly, Nashville earlier this year filed a cease-and-desist letter, saying Bird users were abandoning scooters by the footpaths. And San Francisco was forced to issue permits to a handful of scooter companies to clamp down on the increasing numbers of scooters clogging up the city streets.